I moved in a about a month ago and so far everything has been great! I was a little concerned about parking but it hasn’t been an issue at all. There is always plenty of parking! Hi Denisse G., thank you for taking the time to leave a review for us at Dorel Laredo. We're happy we could meet your expectations! Please don't hesitate to reach out if there's anything additional we can do for you. Love the Dorel Laredo the only problem I could complain of is the lack of storage space, other than de laundry room there is no other storage space. Hello Martha D., thank you; we appreciate your feedback! Thank you again for leaving us this response! Third year renewing our lease! My family and I love it here. The community is great and friendly. The staff in the front office is so helpful, and the community gatherings (Halloween, Easter etc.) are the greatest! Best apts we’ve ever called home. Hi Julio T., thank you for taking the time to leave a review for us at Dorel Laredo. We're happy we could meet your expectations! Please let us know if there is anything else we can do for you; we are more than happy to help! Lezlie L., thank you so much for your high rating! The residents in my community are great. They are professional people and I have not had any issues with my apartment. I love the swimming pools and the workout rooms. Great!! Hello Enrique M., thank you; we appreciate your feedback! After seven months living here the only complaint I have is the lack of storage space, and not being able to have personal items in the patio. Jesus D., thank you so much for your high rating! It has been amazing.I have no complaints so far.Problems have been fixed right away.I do not regret choosing dorel. I would definitely recommend this apartment complex to my friends and family. Nicole P., reviews like this give us motivation and help us ensure we provide high-quality care. Since manegment change everything has been great. As well very attentive and very friendly staff. Very satisfied and content. I highly recommend. Kassandra Q., reviews like this give us motivation and help us ensure we provide high-quality care. Thank you again for the great review! 3 month review: -The aesthetic of my apartment fits my style (clean, white, classy, simple, bright and fresh) - maintenence has always given speedy service and fantastic results. #friendly too -the gym in the back has a nice view while jogging -the location is excellently close to churches, restaurants, gas stations, and stores. - the staff is friendly - the community is quiet (except for muscle cars at night....but whateves) -mail is on time and consistent -the pool is clean well RECCOMENDATION for improvement: Please bring a recycling system. Considering the amount of people that live in dorel, we need one. It's forward thinking! Hi Margaret M., thank you for taking the time to leave a review for us at Dorel Laredo. We're happy we could meet your expectations! Thanks again for the recommendation, and have an amazing day! Excellent! 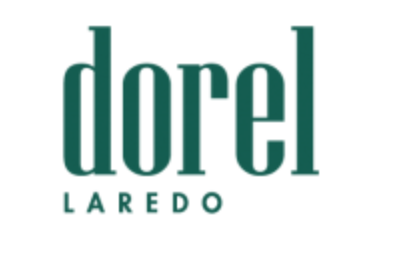 We have been in the Dorel Laredo, TX community for almost a week and we love the ammenities, the layout of our apartment, and just the overall atmosphere. Angie P., thank you so much for your high rating! This is a great place with many amenities. Nice and clean rooms, very spacious as well. The staff is very helpful and courteous always. I recommend this place to my to my friends. Good Professional service from staff. Some gym machines don't work. Apartment stairwells full of dirt and spider webs. Don't have gate keys yet to open gate. The staff is awesome! Every time I go in to make a work order, they show extreme professionalism and get my work order completed within minutes! John Anthony P., reviews like this give us motivation and help us ensure we provide high-quality care. Please don't hesitate to reach out if there's anything additional we can do for you. Cesar G., reviews like this give us motivation and help us ensure we provide high-quality care. Thank you again for the great review! The Dorel Laredo apartments is an excellent community to live in. I’m am very proud to be a part of the community. The property is always clean and has very spacious rooms. We always strive to provide top quality service to every guest, and are pleased to hear that you enjoyed your experience here at Dorel Laredo! Thank you so much for your high rating! Hi Juan S., thank you for taking the time to leave a review for us at Dorel Laredo. We're happy we could meet your expectations! Vernice A., thank you so much for the positive review! Great place to live all around! Clean environment, fast and friendly management, and a very safe place for kids to play outside. I would recommend it to anyone who is looking for an apartment complex with no hassle. I love that when I put in a work order for something it's fixed by the next day. Juan M., we're glad you had such a wonderful experience with us! Thank you, and have a fantastic day! They are safe but too many people dont pick up their dog's poop. It's disgusting. The apartments need more maintenance, they're a bit outdated in terms of quality. The parking is okay. There also needs to be better reinforcement of who comes into the complex. Too many people that don't live here constantly come in to swim at the pools during the summer. Also, they should have patrol at all times. Thank you for your review! I am working on adding some more pet stations around the property to try and help with the pet waist. Andres K., reviews like this give us motivation and help us ensure we provide high-quality care. Thank you again for leaving us this response! IT used to be so much better to live here. Now it seems like they don’t even care about the residents. It took them 5 months to change the light bulbs on the stair areas. And it’s always dirty since they don’t power wash anymore. Plus residents have dogs and pick up the dog poop nor does maintenance. So there’s poop all over the lawn. Mario M., we regret to hear that you had this experience with us. It is discouraging to learn of your experience with us. Your feedback helps us improve and we would like to learn more about how we can make this better. Great, safe community with beautiful sunset views. Spacious apartment sizes and nice wooden floors. Quiet, friendly neighborhood. Would recommend.